Followed by this was an oath-taking ceremony. 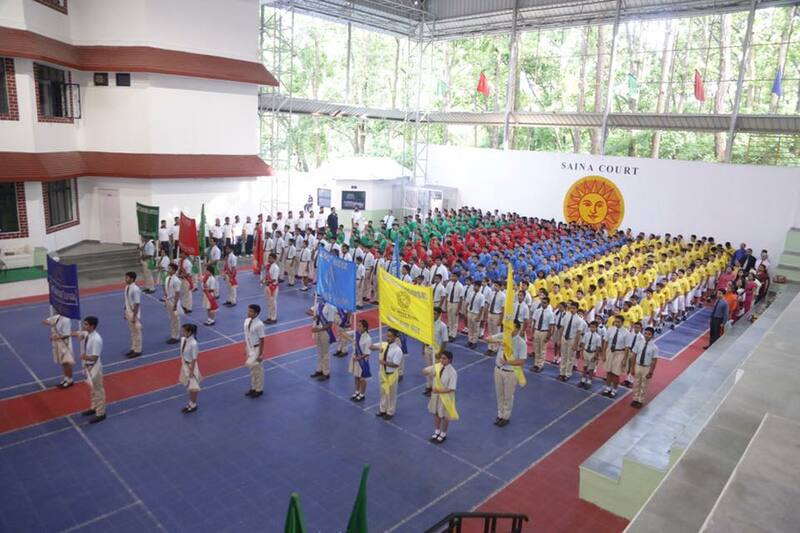 The students pledged to serve the school with knowledge, power, duty, discipline and to fulfill their responsibilities to the best of their abilities.Viraj Mohan was selected as the school captain boy while Kriti Kumari was selected as the school captain girl. Later in the evening, the students were given badges. The Team Captains were presented the badges by their respective Coaches while Class Prefects were given badges by the Supervisors. 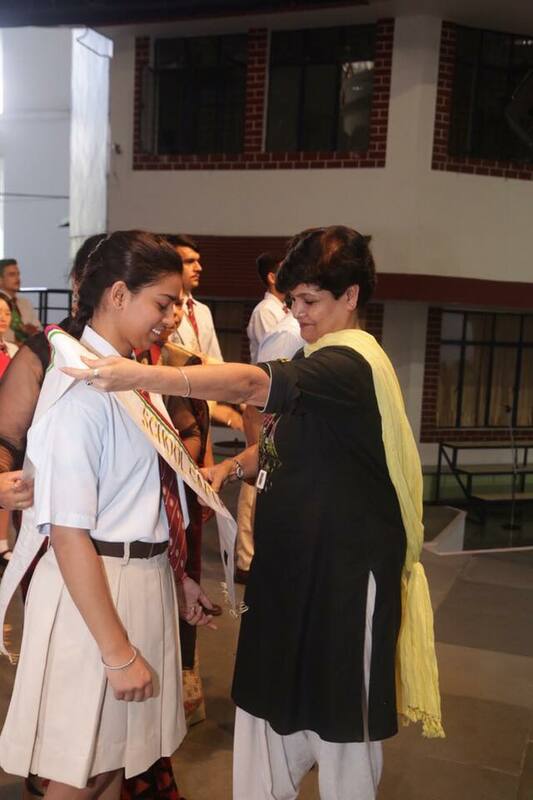 Head of Sports Department Sanjay Thapa pinned the badges to the four House Games Captains. House Vice Captains were presented with badges from the House Incharges. 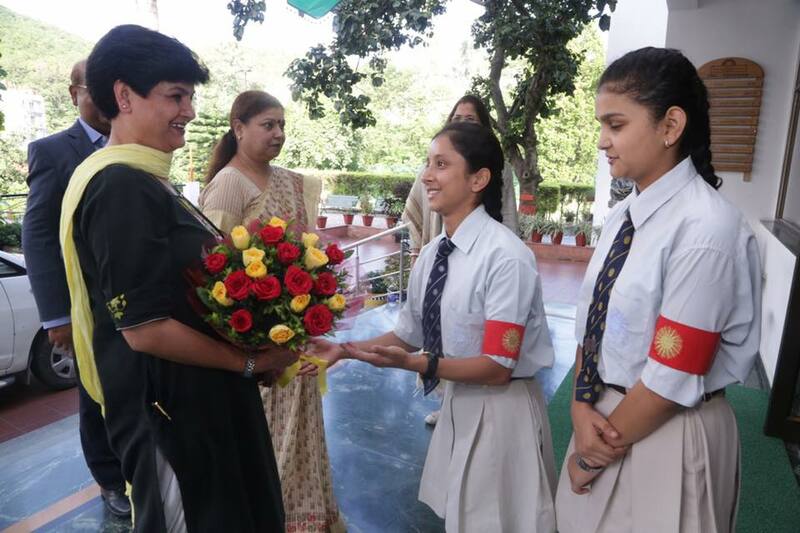 HR Head Mridula Bedi pinned the badges to the House Captains while Principal B Dasgupta pinned the badges to the School Vice Captains, Amar Singh and Muskaan Puri and School Coordinators, Akshat Upadhyay and Harshit Sarraf.The Chief Guest pinned the badges to the School Captain Boy and Captain Girl. 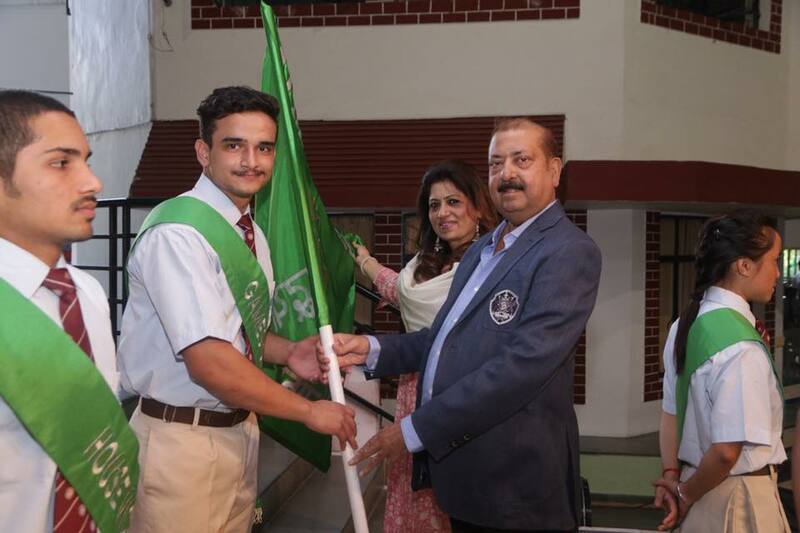 The Vice Chairman Sunny Gupta handed over the banners to the respective student's council.Speaking on the occasion, the Chief Guest ­­­­­­­­­­­­­­­­­­­­­­­­­­­­­ Dr. Savita said, " I came earlier in the year 2010. It’s a matter of pleasure for me addressing as the Chief Guest. The ceremony is mesmerizing and it reminded me my school days”. 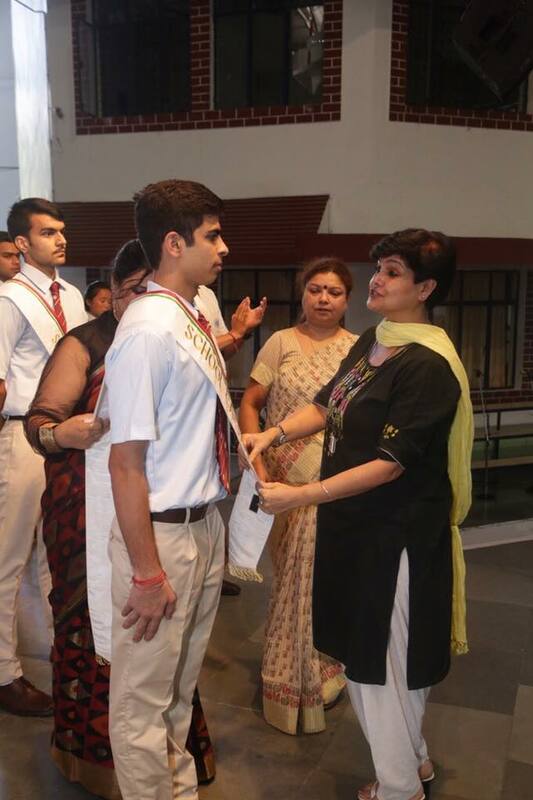 The Head girl and the Head boy also thanked the school for choosing them and giving the responsibilities.Principal, B. Dasgupta encouraged the newly appointed leaders by her words. 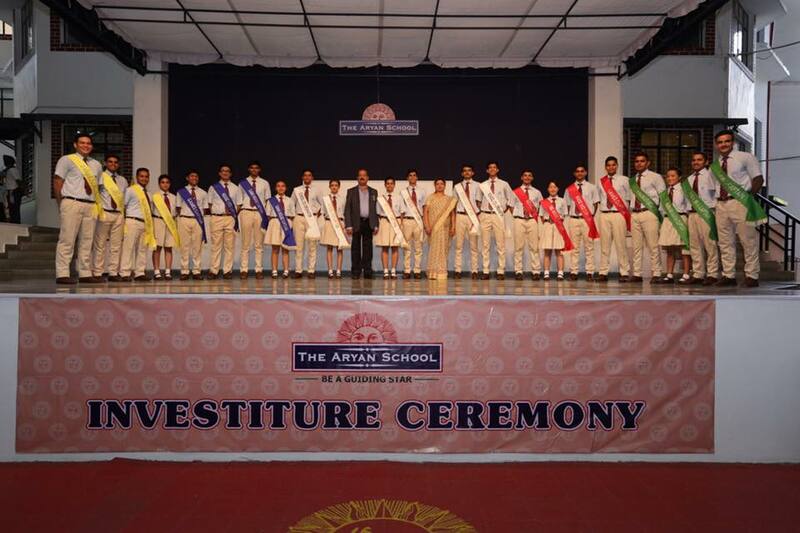 She said, “Investiture ceremony is one of the most important events of our school. We entrust faith and hope in our newly appointed school council. Every student who obtains leadership role feels proud and responsible. Honour and duties go hand in hand”. The program concluded with the school song followed by the National Anthem.